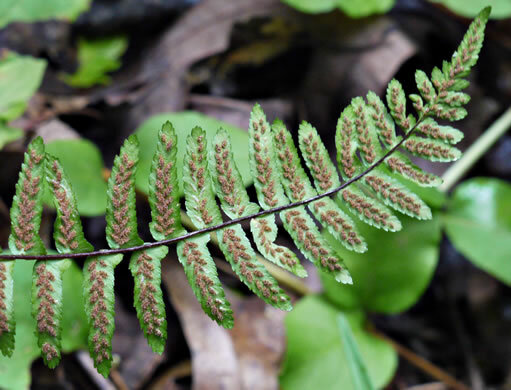 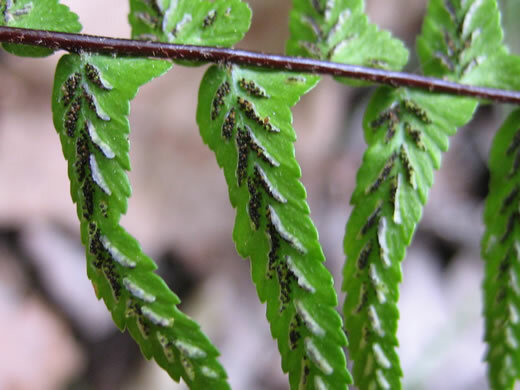 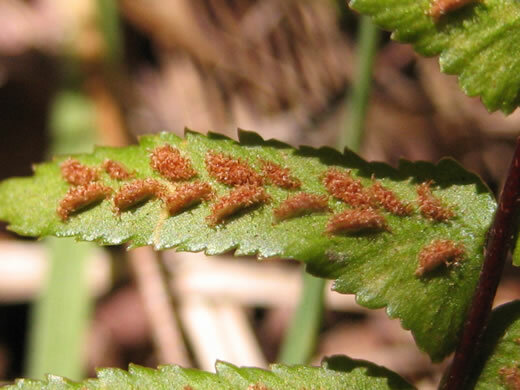 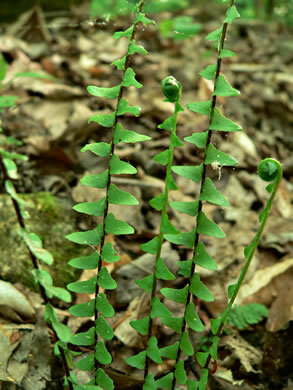 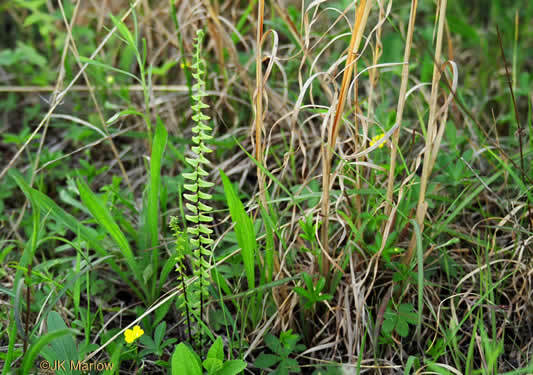 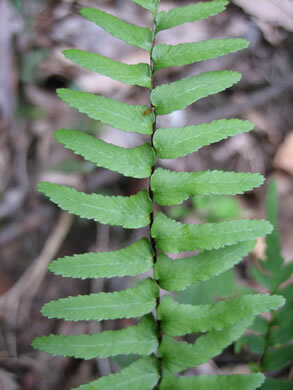 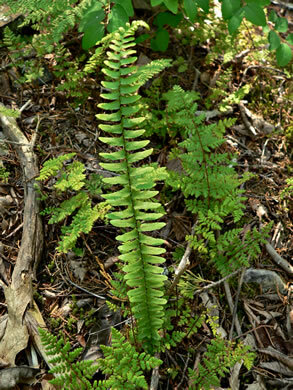 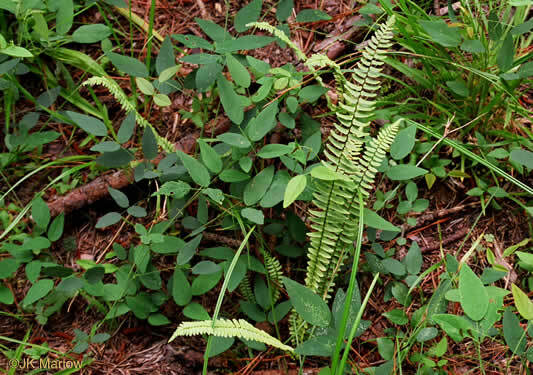 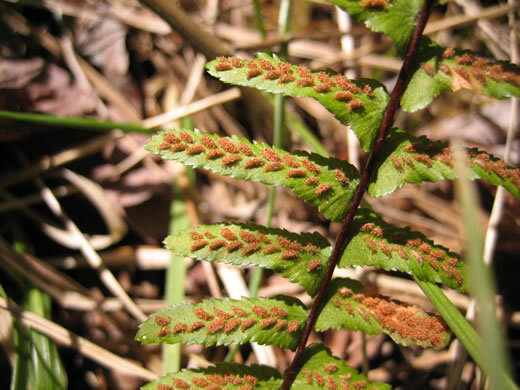 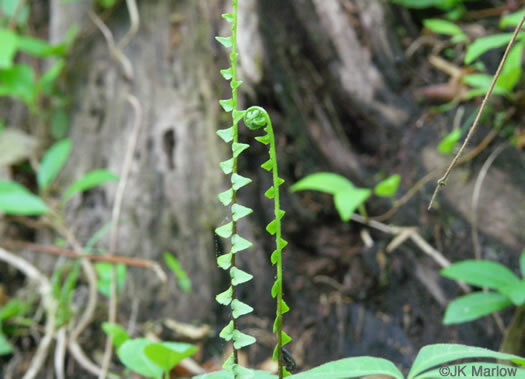 A row of sori on each side of pinna midvein, per Field Guide to the Ferns and Other Pteridophytes of Georgia. 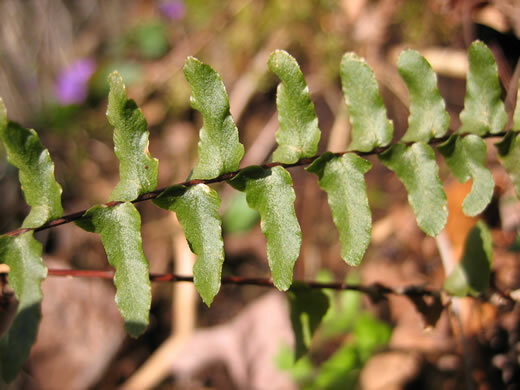 Its rigid grace suggests a combination of delicacy and endurance, per How to Know the Ferns by Frances Theodora Parsons, 1899. 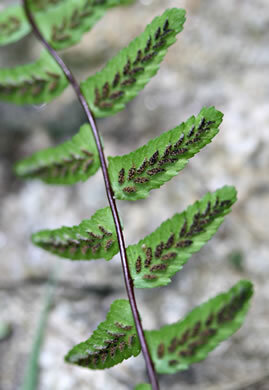 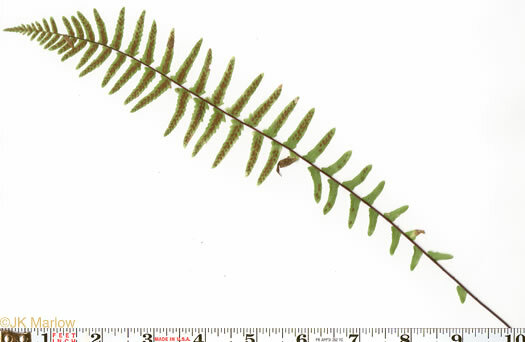 Indusia laterally attached, per Field Guide to the Ferns and Other Pteridophytes of Georgia.